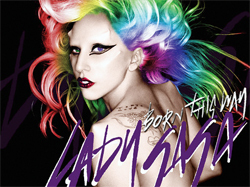 The Lady Gaga album “Born This Way” is pretty out there. It doesn’t stick to any one style which in some ways is a disappointment. There are some songs on the list that are electronica, some that sound like really bad techno, and some that sound like country. I normally don’t like country, though “You and I” was actually decent. Having listened to the country version of “Born This Way” was actually pretty cool too. My main complaint about her is that she has an absolutely beautiful singing voice — when she uses it. Much of the time she does the song just talking to the music, which is fine — if you’re a rapper or doing deadpan metal. That doesn’t work for pop. You need to sing to the music. Almost all of them were at the end of the album. If your tastes run the same as mine, you might just skip the first half entirely. All in all, the album has the general feeling of a mix tape rather than a professional CD. I’m going to have to give this one a D for the most part with a few scattered B’s — mainly for the actual romantic songs.